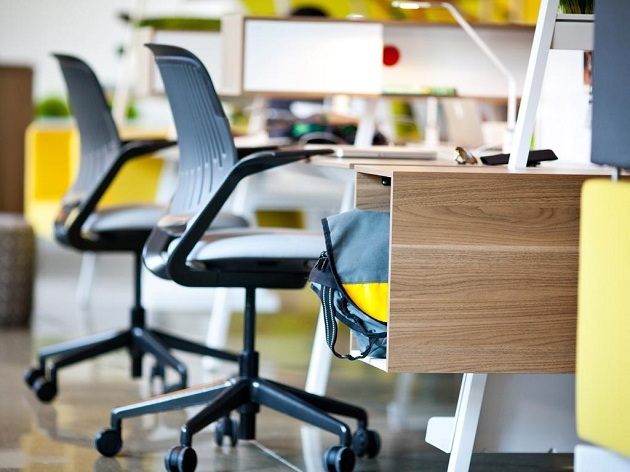 If you are an office worker then you probably know how sitting in a poor quality chair can cause you discomfort and back pain which can have a huge impact on your productivity. Fortunately, there is a way for you to feel comfortable and more relaxed even if your job requires a lot of sitting. In this case, all your body needs, is an ergonomic chair. This piece of furniture is specially designed for people who are spending most of their day sitting, so they can feel comfortable and relieved from neck, back and shoulder pain. While going through the range of ergonomical chairs available on the market, you are sure to come across a wide array of designs all with different features but one purpose – to protect you from unnecessary pain and offer you health benefits while sitting at your desk. Here is why investing in an ergonomic chair is an investment in your health. Not just that they can prevent but they can also relieve the pain in your lower back. Poor quality chairs usually offer a bad back support which means if you are sitting in a such chair for a prolonged period of time, you will start experiencing lower back pain or muscle fatigue and exhaustion. This can bring you other more serious health problems and conditions. As a conclusion, sitting in the wrong type of chair not just will inhibit your productivity but is harmful to your overall health. A good blood circulation is an essential for your body and the wrong type of chair can hugely affect this process. Almost all types of ergonomical chairs come with an adjustable height and seat position which means you can adjust the chair according to your personal needs and the length of your legs. To have proper blood flow in your body, your legs should be at a 90-degree angle. Regardless of how different our bodies are, we all need proper support and cushioning while sitting. For that purpose, most ergonomic chairs are made from a mesh (a loosely knitted or woven fabric that has a big number of closely spaced holes). Because of the small holes in the construction of this fabric, this chair will automatically mold to the contours of your body, thus provide you with the best support for your body. Feeling comfortable and relaxed can also improve your concentration. Your pain-free body and proper circulation will help you feel great while nothing distracts your focus from work. Those couple of minutes you will spend constantly trying to find the right position while sitting in the wrong chair, you can spend on more important things if you are sitting in an ergonomic chair. When starting your day at work, all you want is to complete all your daily tasks and go home with a peace of mind. But the discomfort you may experience while sitting in the wrong chair will not help you with this mission at all. The ergonomic chair is designed to provide your body with the ultimate comfort as with all the adjustments it comes, this chair will definitely make it easier for you to fulfill all of your tasks for the day with ease. How Important is a Height Adjustable Desk?